After Kendall Jenner revealed that her “most raw story” — as described by her mother, Kris Jenner — was that she struggled with acne and had partnered with skin-care brand Proactiv, several media outlets reported that many people were upset. “Kendall Jenner’s ‘big announcement’ is that she had pimples but doesn’t anymore because she uses proactive,” reads one tweet. According to new data from YouGov Plan & Track, however, what might not be working with one demographic appears to be working with another, potentially more relevant consumer group. On Sunday, January 6, when Jenner announced her partnership with Proactiv, US consumers aged 18-34 gave the brand a Buzz score of 16 — meaning more had recently heard something positive about the brand than negative. A week later, however, Proactiv’s Buzz score had declined to -3 among millennials, confirming what many people were expressing on social media. 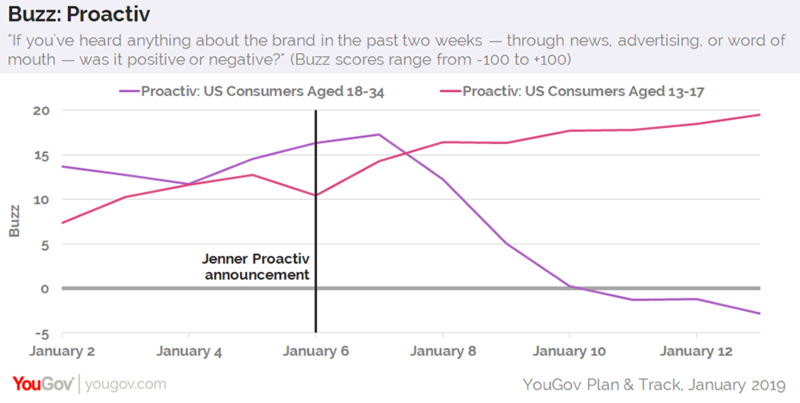 On the other hand, YouGov figures also show that, following Jenner’s announcement, Proactiv’s Buzz score has increased among US consumers aged 13-17, climbing from 11 to 20. Additional numbers show that more American teens are opening to buying Proactiv when next in the market for skin-care products, too. On January 6, 17% said they&apos;d consider purchasing Proactiv. A week later, on January 13, 21% reported the same. Interestingly, an openness to buying Proactiv has also increased among US millennials aged 18-34 throughout the same time period, moving from 8% to 11%. Overall, 87% of all US adults have heard of Kendall Jenner. One in five (20%) Americans have a positive opinion of her, while 46% hold a negative view. In total, 14% of consumers aged 18+ say celebrity endorsements have an effect on the things they buy. 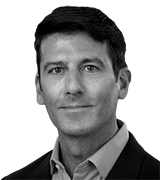 In April 2017, Jenner starred in a controversial Pepsi commercial that corresponded with a notable drop in the brand’s Buzz score among millennials.